Above: Stained glass window, St. Andrew's Church. 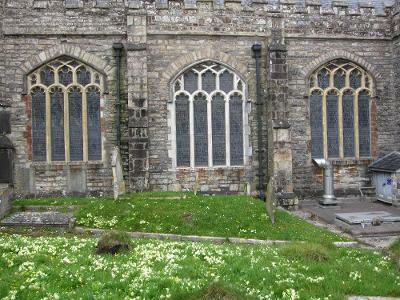 Ashburton Digital Archive currently holds all the memorial inscriptions for St Andrew's Churchyard for the 1956 section and for the 1884 section. A list of Ashburton vicars, provided by John Williams can be seen on the Ashburton pages of Genuki. Slight alterations to the list: Joshua Bowdon was vicar in 1656. 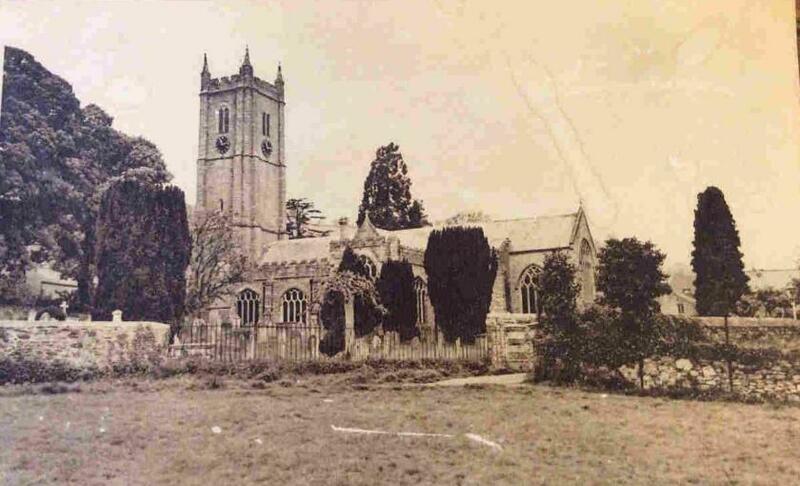 Sarah, the daughter of Joshua Bowdon, vicar of Aishberton, was borne 6 May 1656. In addition, Reverend John Trevor Charnley arrived in 1963, not 1953. The earliest record of the church dates back to the late 1100s, when John Le Chaunter, Bishop of Exeter (1186 - 91) gave it to the Dean and Chapter of Exeter Cathedral. 'The manor and church were then the personal property of the Bishop'. The document, probably in Exeter Cathedral reference D&C 610, is described as ‘Grant of Church to Chapter’ c.1186-91. "To all the faithful to whom the present writing shall come: John by Divine permission, the humble Minister of the Church of Exeter, Health is the author of Health. Your community should know that I (by divine intuition, and by the reverence of the blessed Apostles Peter and Paul as well as from consideration and honour of the Church of Exeter, to the care and responsibility of which, God assenting I am called) have given and yielded in pure and perpetual alms, to my beloved sons in Christ the Chapter of Exeter, the Church of Asperneton with all its belongings. 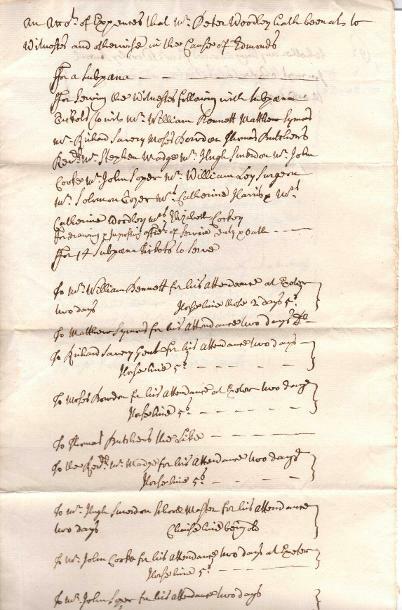 Except an annual pension to the Nuns of Polslowe, which my predecessor of famous memory, Bartholomew Bishop of Exeter, gave and confirmed to them. In order that it may remain firm and unshaken I have confirmed it by placing of my seal to the present writing. These being the witnesses Walter of Cornwall, Roger of Barnstaple, Archdeacons, and many others"
Taxation of the clergy (originally to finance crusades) began in the middle of the 13th century, with a thorough assessment known as The Taxation of Pope Nicholas in 1291. 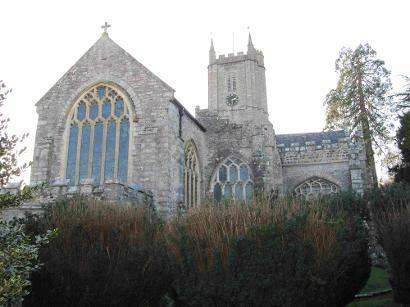 The estimated rectory income for Ashburton was £10; higher than Dawlish but lower than St Marychurch. As the people who assessed the income were themselves clergy, the figures tend to be on the low side - ten years earlier Ashburton had reported an income of £26 16s 8d. A Bishop's Visitation in 1301 found that: Navis ecclesie nimis obscura (the nave is too dark) and Campanile nondum cooperitur plumbo ex toto, set est in cooperiendo (the clock(?) tower is not yet entirely covered with lead, but the work is proceeding). In April 1314 Bishop Stapledon visited the church. His report, in latin, appears to be a long list of defects, and according to the St Andrew's Church guide his conclusion was that the church was delapidated; as a result he ordered various repairs, including that the north aisle be rebuilt* and a vestry be added. * 'Ala borealis ejusdem ecclesie est ruinous, et de novo construenda' ? The church was rebuilt at some time in the 15th century. Right: The previous floor in the south corner of the church, revealed during renovations. In the 1400s the church had a spire: in the period 1493 to 1494 John Bullocke, John Russell, Water Antoney, Will Cllynche and Will Derte were paid 5s 10d for work about the spire and making of scaffold. 9s 4d was paid for casting lead and soldering about the spire, and John Cleffe was paid 8s 4d for ironwork. Will Schabetor was paid 25s 8d for brasswork. Thomas Wilke painted the 'wether cocke' and charged 2s 8d. In Ashburton, as elsewhere, plays were an important part of religious life. 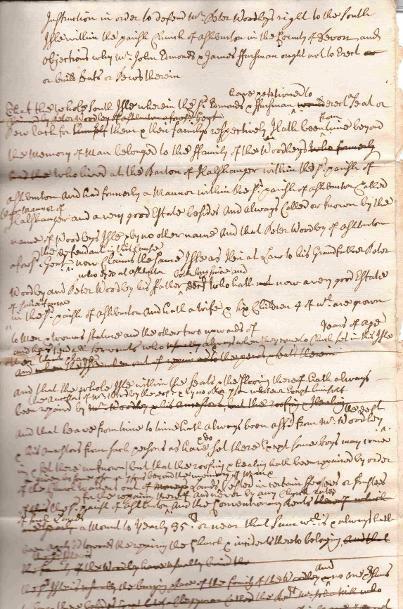 In 1489-90 Thomas Druyston was paid 12d for looking after the players' clothes, and in the next year's accounts John Soper earned 10d making players' clothes. In 1492-93 the players had 'bred and ale' at Corpus Christi, which cost 8d. 4 ratilbaggez* and vysers were bought for the players at the feast of Corpus Christi 1516-17. They cost 20d. In the same period John Soper received 2s 8d for keeping the players' finery, and an extra 10d for painting 5 wigs. 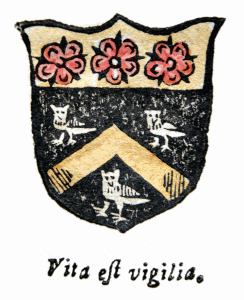 Robin Whode [Hood] had a new tunic in 1526-27. Two years later staves were made for the players (6d), together with crests for their heads. *Rattle bags. Hanhan says that 'devils' ran amongst the audience with these. 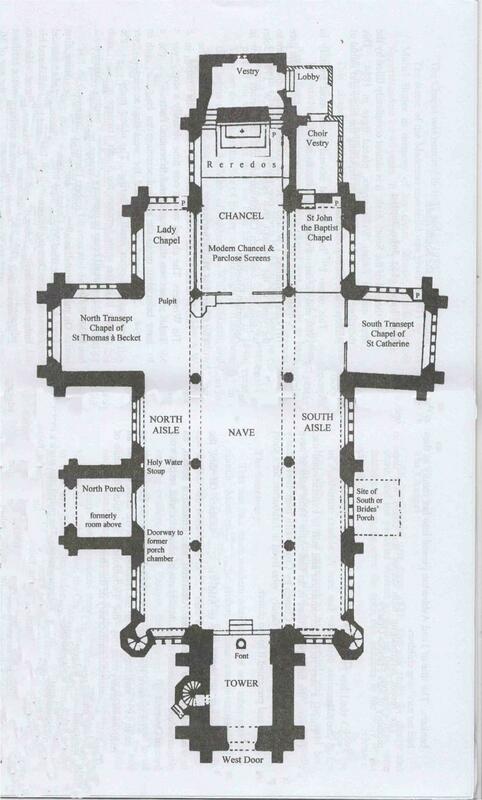 Above: A plan of St Andrew's Church, based on one drawn by C Fryer Cornelius in 1942 - it shows the site of the south, or brides' porch. Right: Whether the path to the south side of the church was anything like this in the 1500s is anybody's guess, but I like to think of some Tudor brides making their way along something similar. From 1538 it was a legal requirement for every parish to buy a copy of the Bible in English (Henry VIII's 'Great Bible'), and put it in a place where it could be easily read. Cranmer's Bible of 1540 was a new edition with a preface by Thomas Cranmer, who was Archibishop of Canterbury. 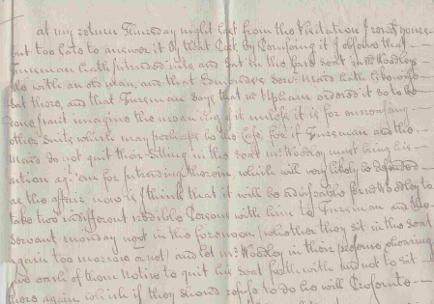 16d was paid for ringing the bells after King Henry VIII's death, 'on whose soul God have mercy'. The priest who sang mass on that occasion was paid 4d for his breakfast. 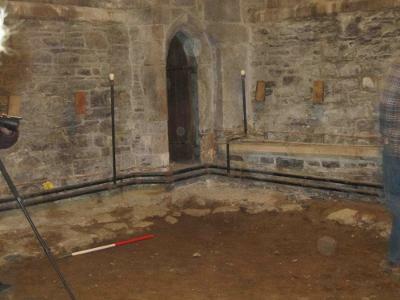 When renovations were carried out in St Andrew's Church in 2015, a large number of such graves were revealed underneath the old floor. The bones were already disturbed and muddled, and were removed for re-interment. According to H A Tummers the custom of burying people inside the church goes back to the early Christian era, and was common by the 13th century. But there was not much room, and was soon a privilege only extended to the clergy and individuals of high social standing, or those who had made a substantial financial contribution to the church. 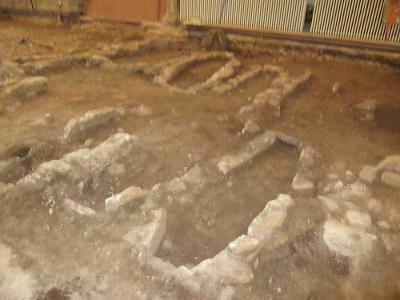 Above and right: Graves beneath St Andrew's Church floor. The farther in the more you pay! 'H. H.' writing in Notes and Queries, says that the epitaph was engraved upon slate, part of which was still, in 1852, embedded in the wall just outside the chancel door. He says that water found its way into the crevices of the stone, froze and expanded in the winter months, and caused the slate to 'desquamate' (shed off in flakes). T J Pettigrew associates the epitaph with Elizabeth Ireland, died 1779, (as does H. H. above), and says that the epitaph is also at Kingsbridge. 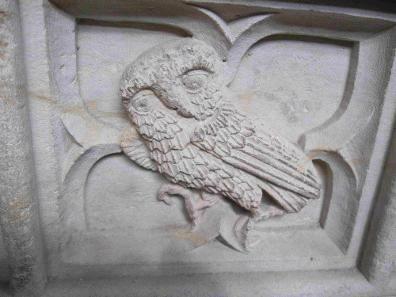 Peter Woodley, of Halsanger Manor, had use of the pews (and the burial rights) in the south aisle. 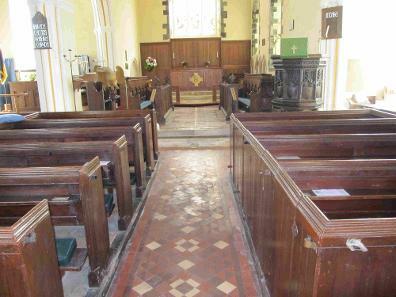 Two men, John Edmonds and James Fursman wanted to build a pew or pews in the said aisle. So what had to be decided (apart from the question of whether there was actually room) was whether the Woodleys had rights to the aisle at all, and if they did, whether it was to the whole aisle. 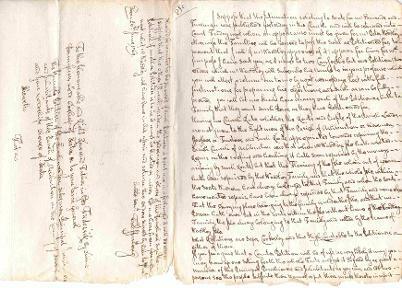 The following are extracts of contemporary notes from the case, which was finally decided in Exeter - I do not, however, know who won. 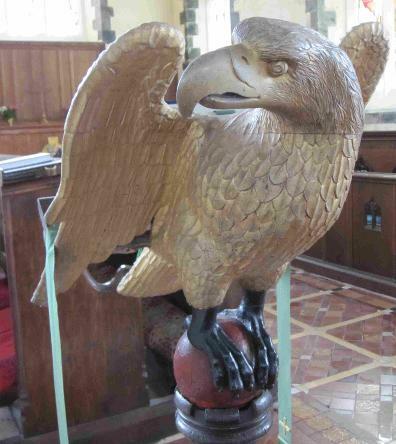 'In order to defend Mr Peter Woodley's right to the south aisle within the Parish Church of Ashburton in the County of Devon and objections why Mr John Edmonds, James Fursman ought not to erect or build seats or pews therein. There then follows family details - of Peter Woodley's father and grandfather (both called Peter), and that he has a wife and six children, of whom four are grown. There also appears to be a claim that when his servants come to church they also sit in the same aisle. Above: Thomas Furlong's letter to Richard Harris, attorney. 'The flooring of the aisle when out of repair hath been repaired by the Woodley family and that the whole aisle within the seats therein have always belonged to that family and when the seats have wanted repair have been always repaired by that family and no other. The vicar goes on to question what relations Soper, Cooksley and the High Constable are to the petitioners. Quite where these came into the case I do not know. Various witnesses were called: Thomas Hamlyn, carpenter, was one of them. 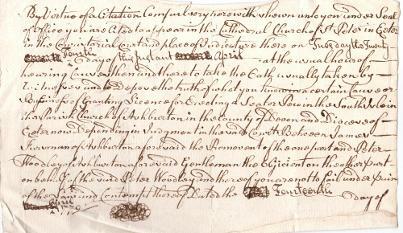 Witness expenses had to be paid, as they were travelling to Exeter, usually for two days. It looks as though horses were hired at 5d (five old pence) a time - but two older parishioners, Hugh Smerdon and Mrs Catherine Harris had carriages on account of their age. Below: Part of another letter from Thomas Furlong to Richard Harris. A newspaper report into the death of James Woodley of Halshanger in 1894 said that the south transcept 'had been long known as Woodley's aisle'. 'Ashburton church having been reseated and freshly paved, was opened again for Divine service on Sunday 6th September 1776 ,and the present ugly pulpit and reading desk, of polished mahogany...were substituted for the ancient carved pulpit and brazen lectern, of which, we believe, the parishioners of Bigbury are now the fortunate possessors, and of which they are justly proud. 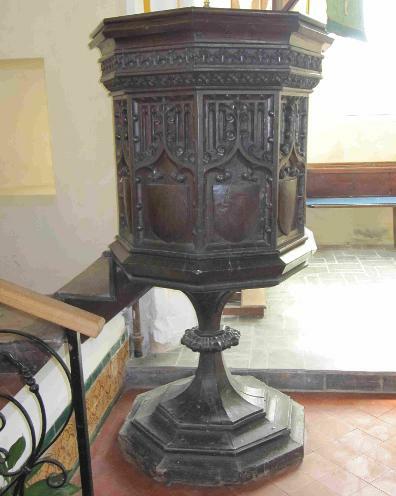 Above, right and below left: The interior of St Lawrence, Bigbury, the pulpit and the lectern. 'The parish church.....is a fine specimen of the early perpendicular style, but has undergone many alterations and repairs. The Rev. William Sherlock Carey MA, student of Christ Church, Oxford, was Vicar of Ashburton when he married Eliza Caroline Schneider of Putney, Surrey. In December 1833 it was reported that the nephew of the late Bishop Carey of Exeter had recently been appointed to the Ashburton living. This was despite the fact that he already held 'a very rich living in Cornwall'. As a result of political meddling by the incumbent, the congregation practically deserted the church during 1834 and 1835, with a large number moving to the Wesleyan Chapel. At that time it was a 'small building in one of the back streets'. In early 1835 the Reverend William Marsh was appointed to the living at Ashburton, following the resignation of The Rev. William Sherlock Carey. In 1854 a new Act, 'for the protection of the public health', stated that no new burial grounds should be opened in a number of places, without the approval of one of Her Majesty's Principal Secretaries of State. 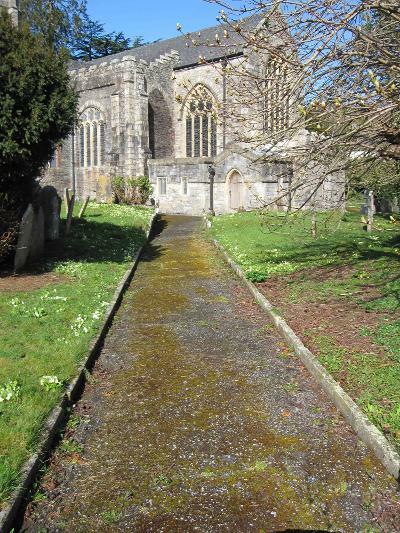 There were some modifications, including at Ashburton, where no new burials were to be made within the church of St Andrew, or in the churchyard to the north of the church, or within 5 yards of the building. 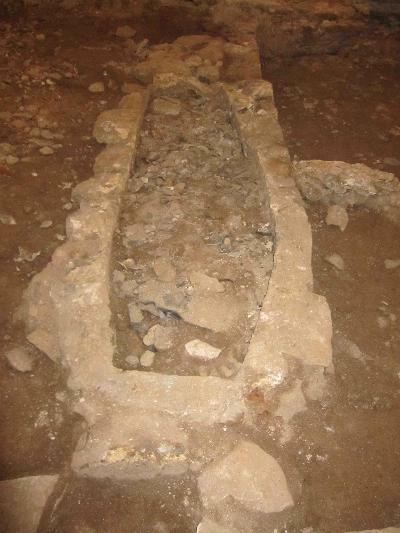 The exceptions to this were that existing vaults or brick graves within the church could be used, providing that each coffin was embedded in charcoal, and separated from others by 'concrete, brickwork or masonry'. 1855 As the north side of the church was now too crowded for further burials, the authorities were poised to buy a piece of garden to enlarge the churchyard. Nothing had been done by July, and the ratepayers called a meeting to discuss the situation. Mr W. Parkyn, Independent minister, wanted a section for dissenters to be provided if a (public) cemetery was built. But if church lands were to be extended, he thought the church authorities ought to bear the burden of the cost. In August new land was selected near the old churchyard. The Western Times did not approve, saying that it had been selected by 'the few'. 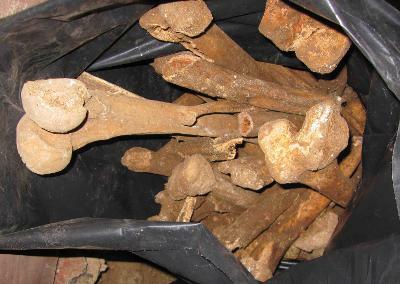 1857 A correspondent to the Western Times claimed that the churchyard was 'crowded with graves and fragments of bones'. Sheep were often grazing there. 1857 Whilst praising the restored oak ceiling in the north aisle, the Western Times suggested that new seats would be of benefit to the church, instead of the current 'large sleeping boxes'. The Rev W Marsh died on May 3rd 1861. He was said to have been the Vicar of Ashburton for 26 years. 1866 There was still discussion about extending the churchyard. Members of the established church wanted to extend the burials into adjacent land called Folly Gardens, owned by Mr Rogers. Dissenters wanted a separate cemetery. The new burial ground was finally consecrated in 1868 by the Right Rev Bishop Trower. It extended the churchyard on the south side. 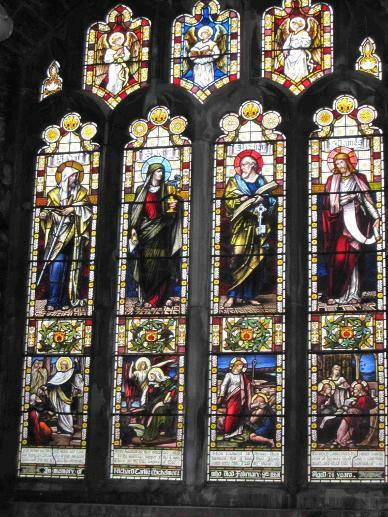 In 1894 Mr and Mrs Mallaby Firth donated a new stained glass window to the south transept of the church. The window was in memory of Mrs Firth's parents, Mr and Mrs George Caunter. In 1902 there was a 'Painful incident' at the funeral of a young woman*, conducted by the Rev R J Bond. A coroner's jury had brought in a verdict of 'Suicide whilst of unsound mind', and because of this the vicar refused to allow the body inside the church. Shops and houses were closed - as were the church doors - as the funeral procession passed through the crowded streets, and large numbers of inhabitants accompanied the mourners. The vicar read a special service at the graveside, but the whole funeral took only fourteen minutes. The general mood of the town was of 'detestation' for the vicar's behaviour. 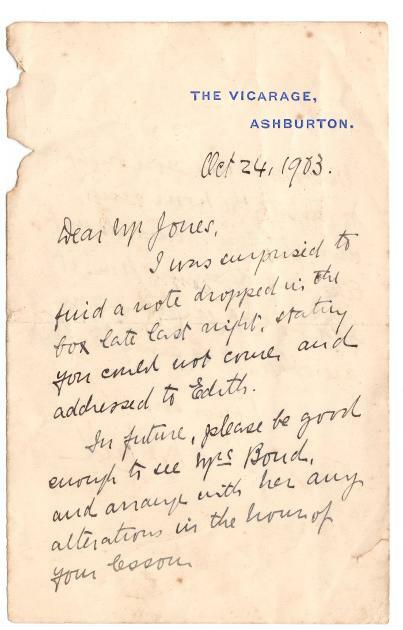 Above: A letter from the Rev Bond to Mr Jones, dated October 1903. 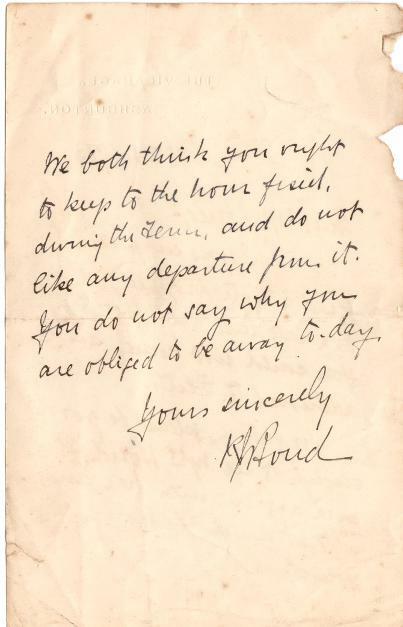 It reads: "Dear Mr Jones, I was surprised to find a note dropped in the box late last night, stating you could not come, and addressed to Edith. In future, please be good enough to see Mrs Bond, and arrange with her any alterations in the hours of your lesson. We both think you ought to keep to the hour fixed, during the term, and do not like any departures from it. You do not say why you are obliged to be away today. Yours sincerely, R J Bond". From other documents, Mr Jones is probably Harold O Jones, who appears on the 1901 census as a 29 year old professional musician. Edith is the Rev Bond's daughter - she is 8 years old on the same census, so would be about 10 at the time of the letter. From the memories of Reg Andrews, born 1893. Those who could afford it conveyed their dead and the mourners in carriages, usually drawn by grey horses. However, one of my saddest memories of a funeral procession coming down North Street is of the coffin carried by six black clad bearers followed by the mourners walking slowly behind. All were clothed in black, the women crying and wiping their eyes with new white handkerchiefs contrasting starkly with their black garments. The pathetic little procession wended its way down North Street to the church or chapel. Shoppers stood respectfully silent as the cortège went on its tragic journey, men standing bare headed until it was out of sight. It was customary in the church for mourners to return on the Sunday morning following the funeral. A seat was reserved at the back of the nave and the deceased family occupied this pew and remained seated throughout the service. Great sympathy was expressed to the bereaved – one good soul was known for her sincerely expressed condolences, followed by 'I hopes you have a lovely day for the funeral.' A kindly thought as the cortège moved in procession to the grave and rain dripped from the trees on to black umbrellas: the weather seemed to add to the grief and depression of the family of the deceased. Religious festivals played a great part in the life of the town. The Harvest Festival drew all the agricultural workers and farmers to the church which was lavishly decorated with autumn flowers and foliage, sheaves of corn and specially baked bread. There were vegetables and fruit in abundance and this was donated to the poor of the parish. St Andrew’s Church rang out with many harvest hymns as the farming community joined regular churchgoers in singing, “Come you thankful people come” and “We plough the fields and scatter the good seed on the land”. The vicar and his wife were greatly respected, the church providing activities for children and young people. The church had parties at Christmas and the chapels had their anniversaries. Well-intentioned people gave up their time to run these activities and give a glimpse of a world outside Ashburton. The Congregational Chapel, known as “Great Meeting” had a stained glass window depicting the “Presentation of Jesus in the temple” on Candlemass Day, the graphic work of a Flemish artist. It is still in situ, but the chapel is no longer used for its original purpose. Church and chapels were at the centre of activities in the town. The vicar’s wife was a delightful lady, of large proportions, she smiled genially and her love for children was obvious as she invited groups to tea on occasions, when some entertainment was arranged. She presided over the Sunday School, smiling benignly as she glided up and down the aisle of the church. Both the vicar and his wife had a vast fund of information about the church; she would suddenly turn and ask, 'Where can you see a pair of scissors?' To the baffled onlookers she would say 'That’s Dorcas, from the Acts of the Apostles. See the scissors hanging from her belt.' The vicar would look on, smiling fondly on his beloved wife. They were a devoted couple and were sadly missed when he was appointed to a position in Exeter Cathedral. Life expectancy for the poor was comparatively short and, out of meagre wages, money was paid into an insurance policy for a funeral. It was a matter of pride that the deceased were put to rest respectably. In those days, cremation was not an option. There was little mixing between church and chapel - the ecumenical movement was undreamt of and in many ways this divided the community. Early in the 1920’s people became familiar with the sight of two tonsured, black habited monks who walked in from the partially built abbey at Buckfast to deposit the money collected from curious visitors. A certain amount of suspicion and even hostility was felt locally until, with the passing of time, they were accepted as part of the community. Thanks to Hazel Bray for the above item. Churchwardens - Mr F Edgecombe, Mr. T K Islip. Sexton and deputy clerk - Mr E G Rowland, 15 St Lawrence Lane. Ringers - Mr F Baker (Capt), Mr Geo Edgecombe, Mr G Stone, Mr R Northway, Mr J Warren, Mr F Egbeer, Mr W T Coram, Mr J Davey, Mr J Baker. Servers - J Butler, J Eales, E J Grimes, A Bawden, M King. Elected - Mrs Blackler, Mrs Jones, Mrs Moulder, Rev M H Needham, Messrs R S Andrews, F Baker, C E Beavis, J Bray, H G Burt, A S D Caws, S Cowls, H H Cox, A Davies, W Furse, W H C Mugridge, R Stanbury,E H Varwell.